Molecular Imaging is a new biomedical research discipline that covers the visualization (imaging), characterization, and quantification of biological processes and stages happening at the cellular and sub-cellular levels of living subjects. It enables scientists and doctors to image the target in real time and in enhanced detail. It allows the study and observation of the biological process taking place within its own environment instead of by in vitro or ex vivo biopsy/cell culture laboratory techniques. Molecular imagine includes various image capturing systems, cellular and molecular biology, chemistry, pharmacology, medical physics, biomathematics, and bio-informatics. Molecular imaging effectively enhances the way a disease or abnormality can be identified in a shorter, more targeted, and descriptive way. It is a step up from the classical way of taking samples and conducting tests to verify a condition. With molecular imaging, the area in question can be imaged in real time and in molecular detail. This allows better viewing of the target area and what is actually happening there as it happens. It can even be used to immediately track and observe whether a particular treatment is working as it should. Molecular imaging is a vital element of today’s medical practice that adds an additional dimension to diagnosis, changing the way common and devastating diseases are understood and treated. 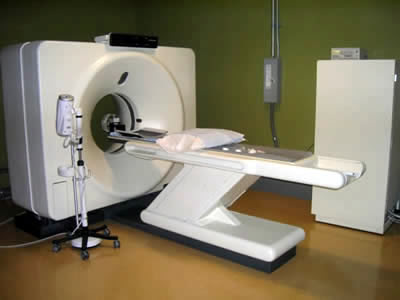 Molecular Imaging includes other fields of science such as nuclear medicine. These all offer different strategies to produce imaging signals for study. What separates molecular imaging from the others is that it utilizes various techniques to produce an image signal. Nuclear medicine uses radiolabeled molecules called tracers to produce a signal by radioactive decay. 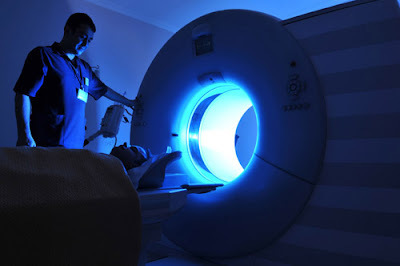 Molecular imaging utilizes this but also uses sound (ultrasound), magnetism (Magnetic Resonance Imaging - MRI), photonics (light and optical techniques of bioluminescence and fluorescence) as well as other emerging technologies and techniques. The Society of Nuclear Medicine (SNM) is an international scientific and medical organization dedicated to raising public awareness about what molecular imaging is and how it can help provide patients with the best health care possible. SNM members specialize in molecular imaging, a vital element of today’s medical practice that adds an additional dimension to diagnosis, changing the way common and devastating diseases are understood and treated. SNM conducted its 2012 annual meeting from June 9 to June 13 in Miami Beach, Florida. Thousands of molecular imaging and nuclear imaging professionals from around the world attend to present scientific papers and posters submitted by scientists, physicians, pharmacists and technologists in the molecular imaging and nuclear medicine fields. In addition, more than 150 manufacturers attend the meeting to showcase and demonstrate the most technologically advanced molecular imaging and nuclear medicine equipment. Finding a way to restore hair growth after substantial hair loss is something of an obsession worldwide. Investigators at the Society of Nuclear Medicine's 2012 Annual Meeting presented how stem cell research for the development of new hair follicles can be monitored with an optical imaging technique that uses bioluminescence, the same process that allows fireflies to light up. There is a host of treatments available for hair loss, including creams and drugs, but these have not shown to be very effective for hair growth. Hair stem cells signal the actual regeneration of hair follicles and natural hair. A molecular imaging technique called bioluminescence is used to display processes at the cellular level. Bioluminescent signal is generated in specific chemical substances called substrates. These signals are easily recognized with very sensitive optical imaging systems that can see what is happening in the smallest places—in this case in hair stem cells. "Hair regeneration using hair stem cells is a promising therapeutic option emerging for hair loss, and molecular imaging can speed up the development of this therapy," saysByeong-Cheol Ahn, M.D., Ph.D., professor and director of the department of nuclear medicine at Kyungpook National University School of Medicine and Hospital in Daegu, South Korea. "This study is the first study of hair follicle regeneration using an in vivo molecular imaging technique." An arsenal of Alzheimer's research revealed at the Society of Nuclear Medicine's 59th Annual Meeting indicates that beta-amyloid plaque in the brain not only is involved in the pathology of Alzheimer's disease but may also precede even mild cognitive decline. These and other studies advance molecular imaging for the early detection of beta-amyloid, for which one product is now approved in the United States , as a major push forward in the race for better treatments. 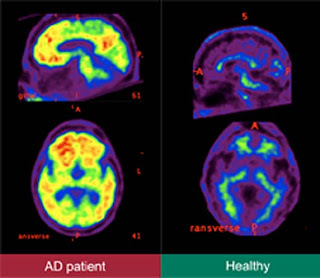 "Diagnosis of Alzheimer's disease can now be made when the patient first presents symptoms and still has largely preserved mental function," says Christopher Rowe, M.D., a lead investigator for the Australian Imaging, Biomarkers and Lifestyle study of aging (AIBL) and professor of nuclear medicine at Austin Hospital in Melbourne, Australia. "Previously there was an average delay of three years between consulting a doctor over memory concerns and the diagnosis of Alzheimer's, as the diagnosis required the presence of dementia. When used as an adjunct to other diagnostic measures, molecular imaging can help lead to earlier diagnosis. This may give the patient several years to prepare for dementia while they still have control over their destiny." According to the World Health Organization, Alzheimer's disease affects an estimated 18 million people worldwide, and incidence of the disease is expected to double by the year 2025 to 34 million. The National Institute on Aging estimates that as many as 50 percent of Americans aged 85 or older are affected. Research revealed at the Society of Nuclear Medicine's 2012 Annual Meeting explores treatment with a newly developed type of radioimmunotherapy used for treating a resistant form of kidney cancer. The agent is able to hone in on the disease, called clear cell renal carcinoma, and kill the cancer by delivering radiation directly to it. However, the study shows that its effectiveness could be diminished when used after another anti-cancer therapy. The radioimmunotherapy highlighted in this study is radiolabeled monoclonal antibody girentuximab (also known as cG250), a potent anticancer therapy that delivers a precise and powerful dose of radiation just at the site of cancerous tissues. Theobjective of the study was to investigate the effect of the widely used tyrosine kinase inhibitor (TKI) on the targeting of In-111-cG250 in clear cell renal cancer patients. "This research has important implications for future therapeutic regimens for patients with clear cell renal carcinoma," says Stijn Muselaers, M.D., lead physician of the study at Radboud University Nijmegen Medical Centre in Nijmegen, The Netherlands. "This study indicates that imaging and therapy of tumors with radiolabeled antibodies could be hampered in patients that are being treated with TKIs such as sorafenib. This informs clinicians about the most appropriate sequence of treatments for patients with clear cell renal carcinoma in order to improve the care and potential survival of these patients." A study presented at the Society of Nuclear Medicine's 2012 Annual Meeting reveals how molecular imaging biomarkers can be used to approximate howan experimental radiochemotherapy for locally advanced rectal cancer will work. Using already available imaging probes, scientists can assess the effectiveness before the course of treatment has ended. "The rate of complete pathological response of rectal cancer patients to anti-cancer therapy—as determined at surgery—was higher than reported in most studies, which shows improvements in the use of available cancer drugs," says Luigi Aloj, M.D., lead author of the study for the department of nuclear medicine at the Fondazione G. Pascale in Napoli, Italy. "This confirms the role of molecular imaging in providing clinicians with important information about initial detection and treatment planning, as well as therapy monitoring." An estimated 143,460 new cases of colon and rectal cancer are expected to be diagnosed in men and women in the United States in 2012. As many as 51,690 Americans could lose their lives to the disease. Colorectal cancer is the fourth most common cancer among both men and women, with estimated lifetime risk being about 1 in 20 Americans, according to the U.S. National Cancer Institute. Rectal cancer accounts for fewer cases than colon cancer, and locally advanced rectal cancer can be very resistant to treatment. Without therapy many rectal cancer patients are not expected to live longer than a year. A study revealed at the Society of Nuclear Medicine's 59th Annual Meeting provides some hope for those with a malignant brain cancer called glioma.A method of molecular imaging that mimics an essential amino acid in the brain can now gauge whether the cancer is still active as early as two weeks after the start of treatment without requiring an invasive biopsy. "It is especially important to be able to tell whether a treatment is effective in patients with this cancer because it is extremely malignant—the typical life expectancy is only about one year," says Wei Chen, M.D., Ph.D.,associate clinical professor of molecular and medical pharmacology for the Ahmanson Biological Imaging Center at UCLA David Geffen School of Medicine in Los Angeles, Calif. "There is currently no reliable non-invasive tool to predict treatment response in patients with malignant gliomas. The availability of molecular imaging methods like this one using amino-acid positron emission tomography is crucial for a rapid and accurate prediction of treatment outcomes." More than 35,000 Americans are diagnosed with a cancerous brain tumor every year, according to the U.S. National Cancer Institute. Prognosis for glioma is particularly dismal, with adults aged 45-55 having a six percent chance of surviving five years after diagnosis. Only three percent of those over 55 are likely to be alive at the five-year mark. Gliomas are malignant tumors of the neuroglia, or glial cells—the glue that holds neurons in the brain and spine together and keeps them healthy. When these cells do not die as they are naturally designed to, or when they begin to grow out of control, they are considered malignant. The general line of treatment for these invasive brain tumors is surgery, radiation and chemotherapies, but gliomas are notorious for recurring after treatment. Out of control competitive aggression could be a result of a lagging neurotransmitter called dopamine, say researchers presenting a study at the Society of Nuclear Medicine's 2012 Annual Meeting. During a computer game against a putative cheating adversary, participants who had a lower capacity to synthesize this neurotransmitter in the brain were more distracted from their basic motivation to earn moneyand were more likely to act out with aggression. For many people, anger is an almost automatic response to life's challenges. In clinical psychiatry, scientists look at not only the impact of aggressive behavior on the individual, their loved ones and the community but also the triggers in the brain that lead to aggressive response. The neurobiology of aggression is not well understood, but scientists are aware of a relationship between the neurotransmitter serotonin and certain aggressive behaviors. The objective of this study was to explore whether higher levels of another brain chemical called dopamine, involved in pleasure and reward, increased aggressive response in its subjects. To scientists' surprise, it was not as they first theorized. "The results of this study were astonishingly opposite of what was previously hypothesized," says Ingo Vernaleken, M.D., lead author of the study and research scientist for the department of psychiatry at RWTH Aachen University in Aachen, Germany. "Subjects with more functional dopaminergic reward-systems were not more aggressive in competitive situations and could concentrate even more on the game. Subjects with lower dopaminergic capacity were more likely to be distracted by the cheating behavior." Addicts unable to kick a cocaine habit could one day be vaccinated against cocaine and see proof with a molecular imaging technique that shows how the vaccine prompts antibodies to whisk away the drug before it can reach the brain, say researchers at SNM's 59th Annual Meeting. "Vaccination offers a whole new treatment paradigm for drug addiction," says Shankar Vallabhajosula, Ph.D., professor of radiochemistry and radiopharmacy in the department of radiology at Weill Cornell Medical College of Cornell University in New York City. "Not only can molecular imaging, based on a dopamine transporter (DAT) PET scan, provide objective proof that this vaccine is working as a treatment for cocaine addiction but it could also potentially be used to assess the effectiveness of vaccines for heroin, nicotine and other addictions." Cocaine is an illicit and highly addictive drug that can have a devastating impact on the lives of users and their loved ones once addiction sets in. According to the National Institute on Drug Abuse, there were approximately 1.4 million people known to be addicted to cocaine across the United States in 2008. Of these, approximately 359,000 were using crack cocaine, a dangerously addictive cousin of powdered cocaine that has been chemically processed and made solid for smoking. Far more than any other age group, adults between the age of 18 and 25 have the highest rate of current use. An estimated one in four drug-related visits to the emergency room is cocaine-related. Research revealed at the Society of Nuclear Medicine's 2012 Annual Meeting describes new approaches to imaging for the detection of tumors in complex cases of bone cancer. Hybrid imaging technology combining computed tomography (CT) with molecular imaging agents targeting two different markers of disease came out on top of the list for the detection of bone lesions. "This study demonstrates that the addition of molecular imaging with combined radiopharmaceuticals to conventional CT improves the power of imaging for cancer diagnosis," says Andrei Iagaru, M.D., a lead investigator in the study and assistant professor of nuclear medicine in the department of radiology at Stanford University in Stanford, Calif. Bone cancer develops when cells localized in the bone begin to grow in an uncontrolled way. Cancers of the skeletal system are either primary, meaning they develop from cells of the bones or joints, or metastatic, meaning that other types of cancer have spread through the blood to the bone. An estimated 2,890 new cases of bone and joint cancer and 1,410 fatalities are expected to occur in America this year, according to the U.S. National Cancer Institute. 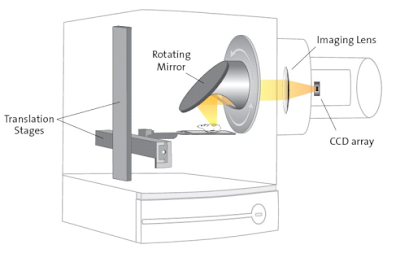 Molecular imaging is effective for providing information about disease processes, and today's hybrid imaging systems have additional computed tomography (CT) technology on board for alignment and imaging structures. While this addition increases the amount of radiation dose a patient receives, research presented at the Society of Nuclear Medicine's2012 Annual Meeting finds that multiple molecular imaging studies need only one structural scan, which would slice off a significant amount of patient radiation exposure. 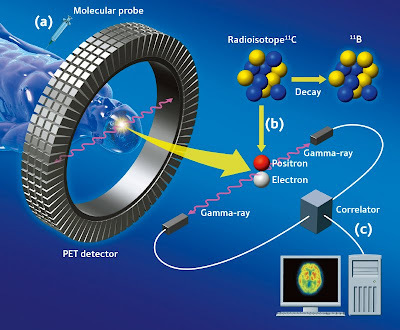 A method of molecular imaging called positron emission tomography (PET) provides information about physiological processes in almost every part of the body. State-of-the-art imaging systems combine PET with CT to add anatomical information that shows precisely where the process is occurring. The addition of CT during multiple imaging studies for one patient can dramatically increase their radiation dose, but research scientists studying brain PET/CT imaging have discovered that just one CT scan is enough to support more than one PET scan. Multiple PET scans are sometimes necessary for imaging injected biomarkers that take a long time to bind to their targets, during diagnosticstudies that require pausing or during scans to test new therapeutic drugs. "Awareness of medical radiation exposure has increased over the past several years. In particular, the concern of additional radiation dose associated with CT in PET/CT is magnified in scans performed for investigational purposes," says Jae Sung Lee, Ph.D., associate professor of nuclear medicine at Seoul National University, Seoul, Korea. 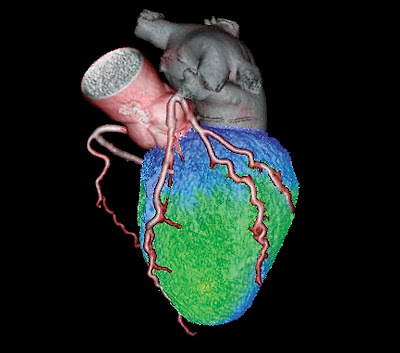 A development in 4D image reconstruction compensates for blurring caused by the beating of the heart, say researchers at the Society of Nuclear Medicine's 59th Annual Meeting. The new method provides sharper-than-ever images of cardiac function to help pinpoint heart defects for better diagnoses and treatment. PET image showing heart anatomy. Cardiovascular disease is the number one killer across the globe. More people die from diseases of the heart and circulatory system than any other cause of death, according the World Health Organization. This molecular imaging technique uses positron emission tomography (PET), which creates a visualization of the heart's viability, allowing physicians to view potential heart disease. The new method of 4D PET image reconstruction works by taking data from specific points—almost like taking individual frames of a film reel—when patients are taking air into their lungs or when blood is being forced by a contraction of their heart muscle. Where other diagnostic imaging procedures—such as X-rays, computed tomography and ultrasound—offer predominately anatomical pictures, PET allows physicians to see how the heart is functioning. The visual representation of this functional information can be further enhanced with image reconstruction techniques such as this one, which uses quantitative image data and a special algorithm that transforms the original image into a crystal-clear 4D image that has none of the hazy areas ordinarily caused by the rhythmic movements of the heart and lungs. A method of molecular imaging that pinpoints hormonally active tissues in the body could change the course of treatment for a remarkable number of neuroendocrine cancer patients, say researchers at the Society of Nuclear Medicine's 59th Annual Meeting. An investigation of a molecular imaging method used to evaluate neuroendocrine patients prior to treatment was found to change management in more than 35 percent of the patients following imaging. Patients who were previously considered inoperable went on to have surgery, and patients with previously unknown and extensive cancer who were originally slated for surgery were considered inoperable. Ruling out surgery in cases that are unlikely to be treated successfully with resection saves patients from the stress and potential complications of unnecessary surgeries. "The study shows that this particular molecular imaging technique does significantly change patient management, identifying operable and curable symptomatic patients or sparing patients from futile surgery," says Niklaus Schaefer, M.D., lead investigator at the University Hospital of Zurich in Zurich, Switzerland. "The positive impact on our patients is also significant. This serves as a model for further use of molecular imaging to assess neuroendocrine tumors." Patients with cardiovascular disease will now benefit from a powerful new molecular imaging tool to detect disease in the main arteries supplying oxygen to the heart, say researchers presenting studies at the Society of Nuclear Medicine's 2012 Annual Meeting. When an active heart needs more oxygen, blood vessels have a natural ability to open more so that greater amounts of blood can flow. The maximum dilation possible is the coronary flow reserve or CFR. This is an important reference, because it is one of the earliest signs of coronary artery disease, which is caused by atherosclerosis, a narrowing or hardening of these arteries due to a build-up of cholesterol and scar tissue. Diseased coronary arteries are unable to dilate as fully as healthy blood vessels, potentially limiting oxygen supply to the heart muscle. The World Health Organization considers cardiovascular disease the number one cause of death and disability across the globe. Coronary artery disease is just one of a range of these diseases that can cause serious problems, including heart attack, if left untreated. In two studies presented at the meeting, investigators examined quantitative imaging data to determine the true extent of coronary artery disease. In one study, researchers tested a molecular imaging method called myocardial perfusion imaging, also known as a stress test, conducted with positron emission tomography (PET). They then measured the CFR and calculated the precise dilation of blood vessels at rest and under stress. The objective of the study was to compare this technique's ability to predict arterial disease to a more conventional imaging method called angiography. In the other study, researchers used a PET stress test and measured CFR to determine whether age is always a risk factor for arterial disease. Key advantages and disadvantages of the main available imaging modalities used in molecular imaging approaches.